Today I have a special treat for you! 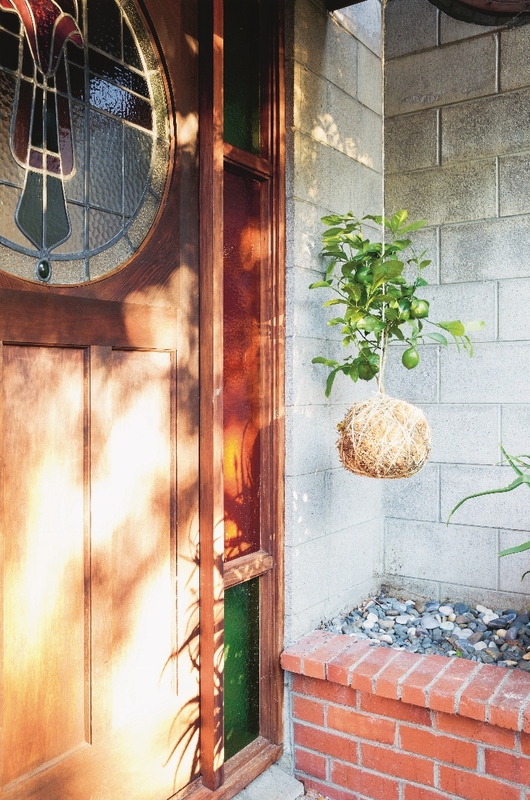 I am giving away a copy of the newly released book Hanging Kokedama – Creating Potless Plants for the Home by Coraleigh Parker and photgraphy by Larnie Nicolson. 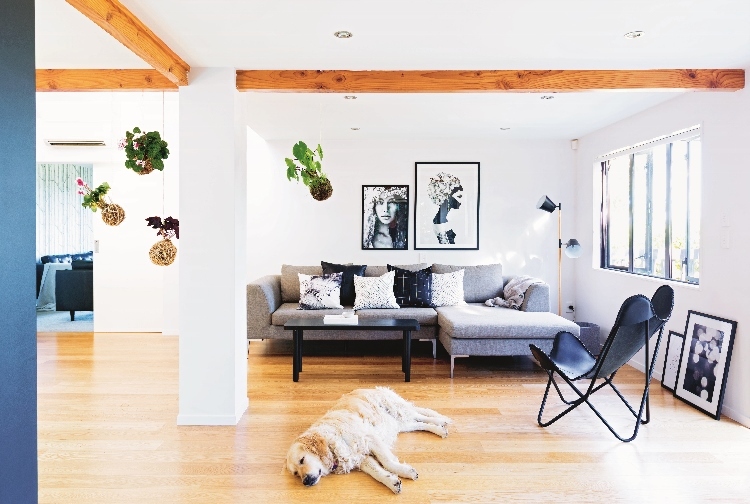 Hanging Kokedama is one of the hottest indoor gardening trends. If you have followed me for awhile then you might have seen my tutorial last year on how to make your own DIY Kokedama. 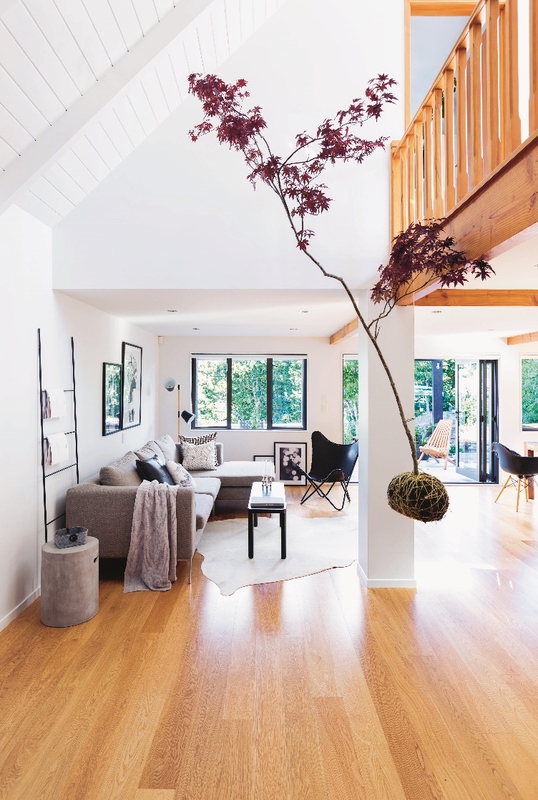 Kokedama is fun to create, look beautiful and become an attractive conversation piece in your home. 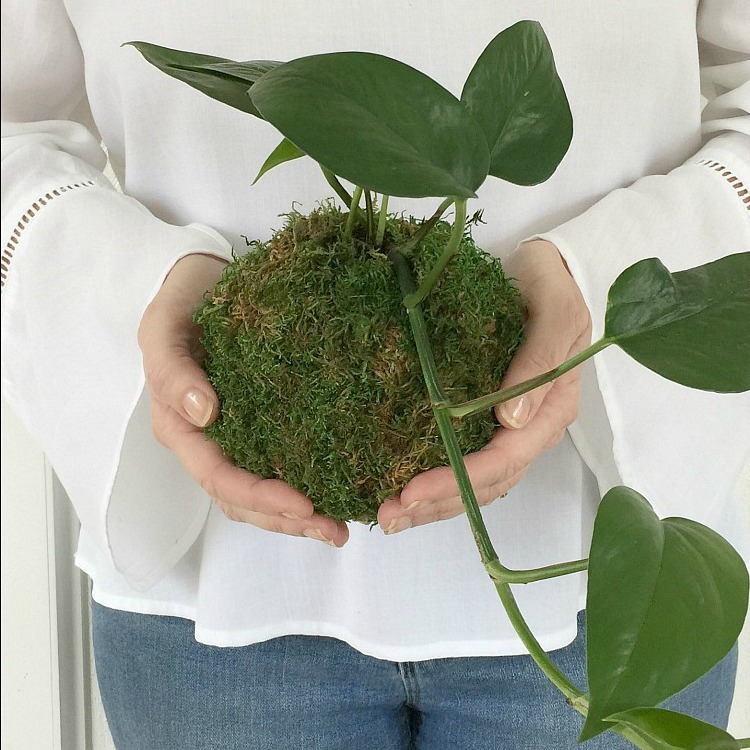 What is kokedama? A variant of bonsai, kokedama is the Japanese art of creating potless plants using a unique soil mixture, moss and string. 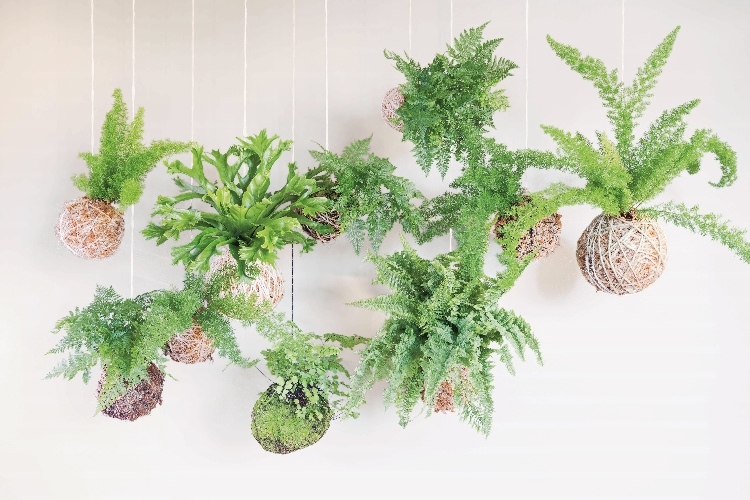 In Hanging Kokedama, Coraleigh explains the history of kokedama and walks us through how to make these beautiful moss ball planters. She gives thorough and detailed instructions on wrapping techniques, soil mixtures for different types of plants, and how to care for the kokedama. All the instructions come with gorgeous photography for each step in the process. Let’s take a look at some of the types of plants we can make kokedama with. My personal favorites are tropicals! 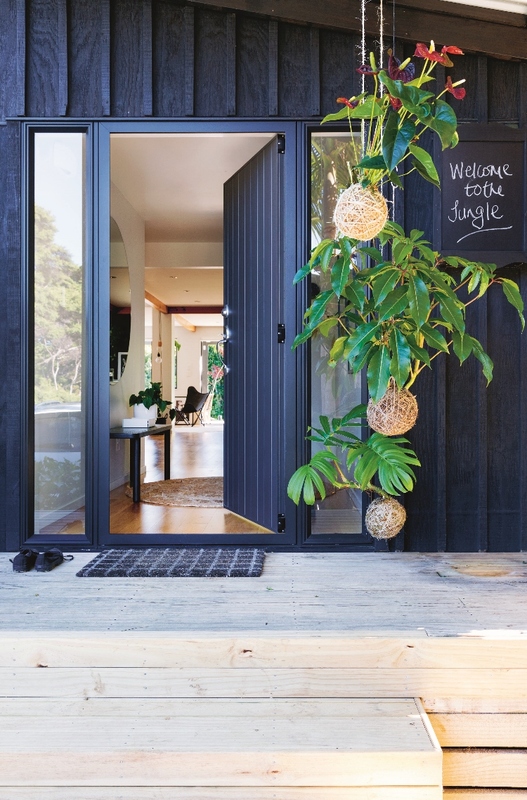 Their lush green foliage has a dramatic impact in the home. 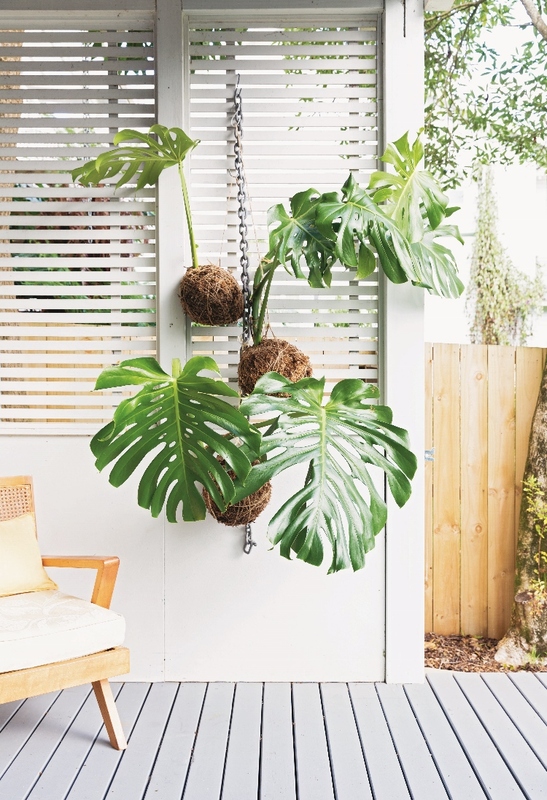 There are a variety of tropical plants to choose from and do well as kokedama. If you fear you might have a brown-thumb then cacti and succulent kokedama are a great choice to try first! They thrive on neglect and are rather maintenance free. Somewhat short lived, but delivering a stunning visual showcase for spring are bulbs, corms, and tuber kokedama. 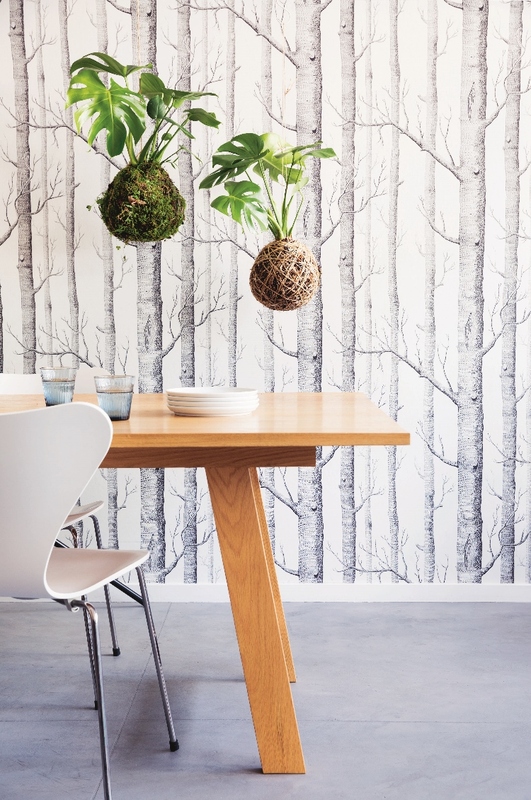 Bring a bit of the forest floor indoors! 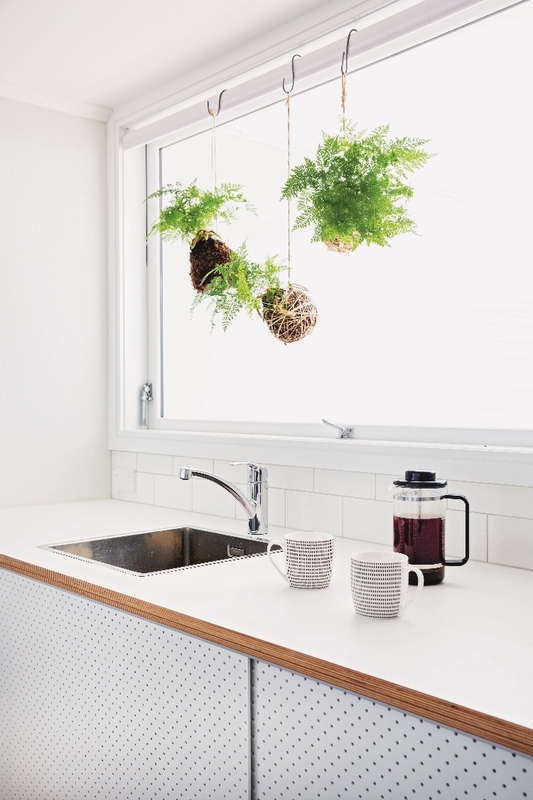 Feathery and lush, fern kokedama are a beautiful choice for a bathroom since they love and need a humidity rich environment. Tree and shrub kokedama will likely grab immediate attention from your guests. Coraleigh gives her recommendations for which trees have the most success as kokedama. Some of the other types of plants covered in the book are herbs and epiphytes like orchids. Want to buy the book today? Click the affiliate link below to see a preview or purchase. 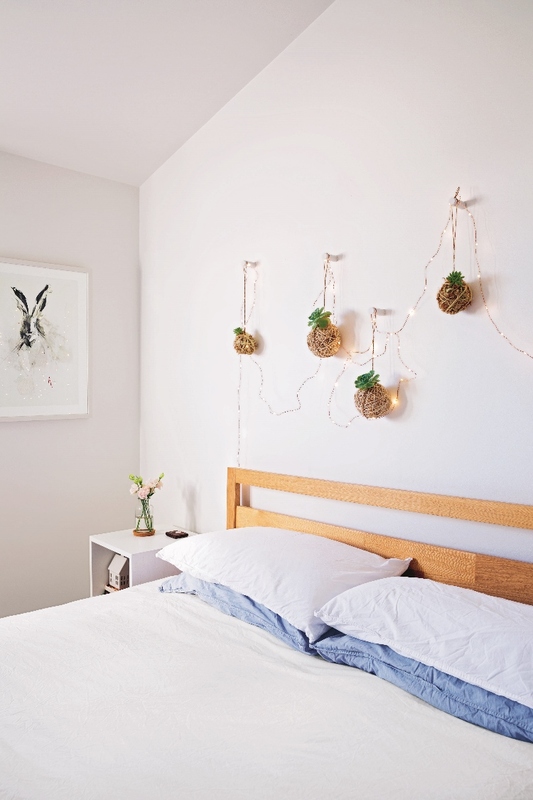 Hanging Kokedama: Creating Potless Plants for the Home by Coraleigh Parker and photograpy by Larnie Nicolson. Want a chance to win a copy of this beautiful book? All you have to do is leave me a comment below! The winner will be chosen at random April 11, 2018 and will be notified by email. 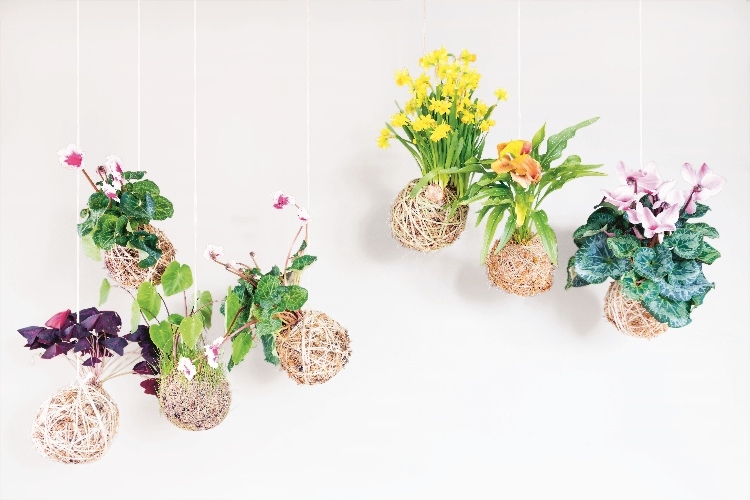 Want to make a kokedama today? 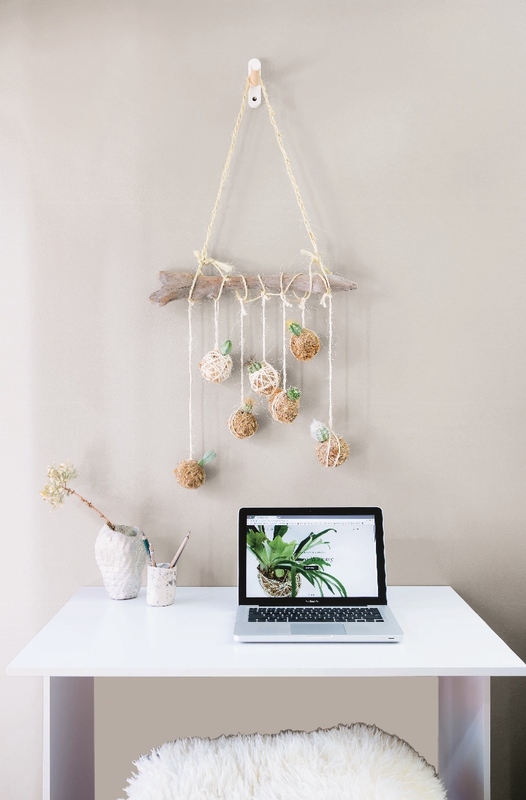 Then check out my DIY Kokedama tutorial! This looks so interesting and neat, I would love to learn more about it from the book! The ferns and bulbs are my favorites! I’d love to learn more! I LOVE this. I wonder about watering though. I need the book to know what to do, lol. So cool. I like the smaller kokedama, not sure about the big tree one? I think my daughter would love the smaller ones in her boho themed room. I am in love with the cacti ones!! I must learn how to make them!! Very interesting. I am going to share with my garden club. Thanks for the giveaway. 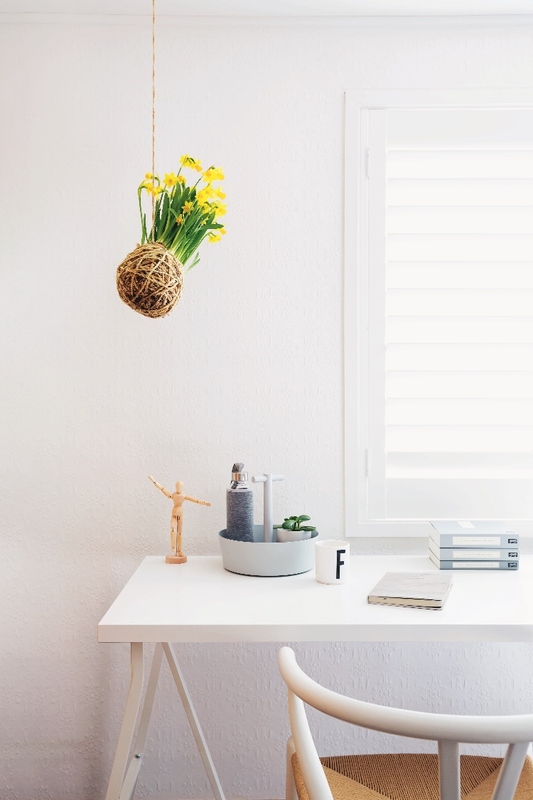 What an exciting way to display greens and flowers…loving the tropical ones…Please include my name in the giveaway it would be a blessing to win this book! I would love to learn something new and hanging Kokedama seems very interesting. I would be thrilled to win the book and try a new craft. This looks like something I would like to try. I live in a small apartment and don’t have a lot of space for plants. This would work for me and so creative. Thank you for sharing this unique technique. Have not seen this before and look forward to trying your dyi post. Those are soooo cool. I would love to win the book and make several for my home and gifts. What an interesting idea! Never saw this before,would love to win this book and learn more. These are adorable! Simple chic and green! Love it! Wow I love this! These plants look perfect anywhere. I can’t decide which I like best but I’d love to see a beach themed one. Dad was stationed in Japan when we were young so Mom loved all things Japanese. The people and traditions especially, I know she would have adopted this too. Even though she has past, I see joy by adding this beauty of kokedama to our home in her honor. Thank you, I have enjoyed all of your projects and have learned a lot. I love this idea, have never seen this. Please submit my name for you drawing. 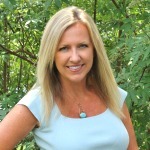 Love to win…because I love flowers and plants! I truly need some plants inside my home. I LOVE the ferns for the bathrooms, but I would love to add green to a lot of other areas, and these seem to be perfect. Just need to know how to make them! I am slightly obsessing over these! I wouldn’t have looked at them twice if I had seen them somewhere else. But I’m loving them, and I’m going to try these out for summer! These are so interesting. For some reason they bring back memories of growing up in California back in the late 60s. I would love make some for my home. Thanks for the chance at this giveaway. This looks like fun to learn and would be beautiful in my house. That is amazing. I would love to make one for my sunroom. I have never seen one before. Thanks for sharing. Yay! You will love them. They are so whimsical and fun. Thanks Karen!